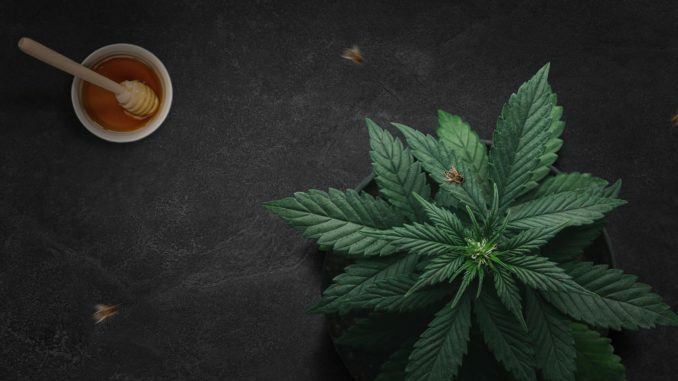 A woman who was given just weeks to live after she refused chemotherapy has baffled doctors by treating her cancer with cannabis and Manuka honey. 51 year old Mother and Grandmother Susan Dhillon from Berkshire in England, was diagnosed with inoperable stage four cancer of the mouth, nose and lower skull in June 2018. The Mail Online reports: Doctors said unless she had chemotherapy and risky facial surgery her only option was end of life care. But despite the tumours growing at a rate of 5 per cent a month, Mrs Dhillon chose not to have the treatment. The former NHS prescription administrator started taking a near-pure form of illegal cannabis tablets. Mrs Dhillon, a grandmother-of-one, buys the drug from a friend at a cost of around £16 a day. And after five months of taking a tablet a day, doctors were surprised to find some of the tumours had disappeared and others had stopped growing or shrunk. A letter from her consultant confirms the regression and said: ‘I can only conclude that Mrs Dhillon appears to have gained significant benefit from the Manuka honey and Cannabis oil treatment’. Nine months since her diagnosis, a scan carried out last month showed ‘encouraging’ results – her disease was found to be ‘completely stable’ with no sign of progression. Mrs Dhillon is hoping she will enter remission and is still taking a cannabis tablet every day. She said: ‘It’s an absolute miracle. ‘I was told I could die in weeks or months. They told me it was inoperable. ‘Any hope I had just vanished when they said I didn’t have long. ‘I was basically told there’s nothing they can do. ‘I didn’t want chemotherapy because the side effects are awful. It just wasn’t the right thing for me to do. ‘All I wanted to do was achieve life. I wanted to live for as long as I could.